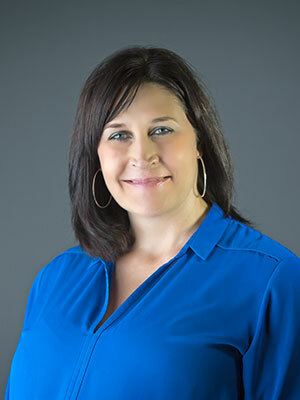 Jennifer Yeagley, MA, is the Vice President for Administrative and Strategic Operations, having joined the Gulf Coast JFCS team in November 2017. Prior to Gulf Coast JFCS, she served as the Executive Director for Community Tampa Bay (CTB), an anti-discrimination organization focused on dialogue and education. At CTB, Jennifer led the growth of their budget by 80%, expansion of individuals served by one-third and implementation of the organization’s diversity training social enterprise. Prior to joining the CTB team, she led several organizations in Texas and California in strategic growth, increased visibility and expanded community impact. Jennifer was on the Advisory Board for the Foundation Center from 2010 to 2013, was recognized with a 2016 Florida Diversity Council LGBT Ally Award and Co-Chaired the record-breaking 2017 Equality Florida Tampa Gala. Jennifer has presented in forums around the nation on diversity and cultural competence, including for the National Association for African-American Studies, Mid-Atlantic Women’s Studies Association and Florida Philanthropic Network. She has a Master’s degree in Literature from Texas State University and is a member of the Leadership Tampa class of 2018.